DETROIT (CNS) — So who really is singing “Gather Us In” at Mass? Ligas is a retired orthodontist and McCallion was hired in 2005 as the sociologist on staff for the seminary’s licentiate program. McCallion and Ligas went about observing 35 liturgies across 10 parishes — three parishes in the Chicago Archdiocese and the rest in Detroit’s northern suburbs. The pair discretely took notes on who at Mass was actively participating in the Our Father, the opening, closing and communal hymns, the Gloria and the responsorial psalm along with other parts of the liturgy. Ligas and McCallion did make other observations at the Masses, from how many times people check their cellphones, to what they wear at Mass, but limited their analysis to participation in singing. 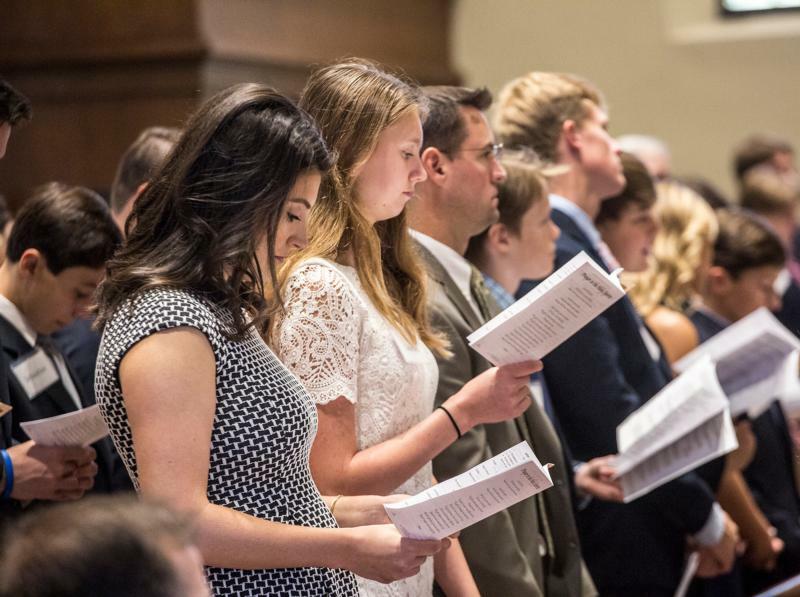 The tension between making the liturgy a communal prayer experience while at the same time fostering an individual relationship with Christ is something everyone involved with liturgy — pastors, music ministers and catechists — will have to address in the new evangelization, McCallion said. The concept of a solely personal relationship with Jesus is a Protestant influence on the Catholic Church, McCallion argues, since the Catholic liturgy invokes the intercession of a communion of saints and the collective prayers of the church. McCallion and Ligas want to expand their research to parishes in the inner city, along with Hispanic and Tridentine Masses, looking for similarities and differences in Mass participation between those liturgies and the liturgies they have already observed. McCallion hopes the research they’ve already done can be used by pastors and music ministers to better prepare a Mass that encourages more participation.